Thorrablot (Þorrablót) was a sacrificial midwinter festival offered to the gods in pagan Iceland of the past. 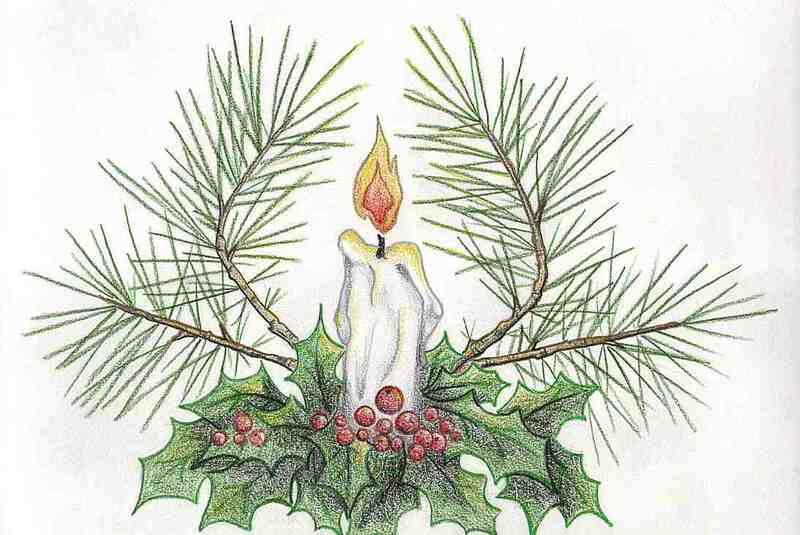 It was abolished during the Christianization of Iceland, but resurrected in the 19th century as a midwinter celebration that continues to be celebrated to this day. The timing for the festival coincides with the month of Thorri, according to the old Icelandic calendar, which begins on the first Friday after January 19th (the 13th week of winter). Or, on the 19th when it falls on a Friday. Origins of the name “Thorri” are unclear but it is most likely derived from Norwegian king Thorri Snærsson, or Thor the God of Thunder in the old Nordic religion. 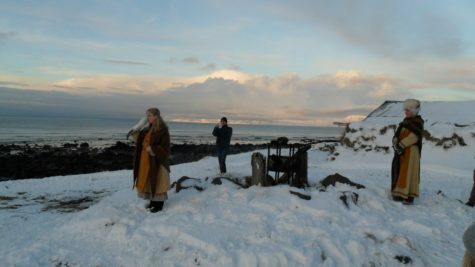 Today Thorrablot are common events among Icelanders everywhere and can be anything from an informal dinner with friends and family to large organised events with stage performances and an after-dinner dance. 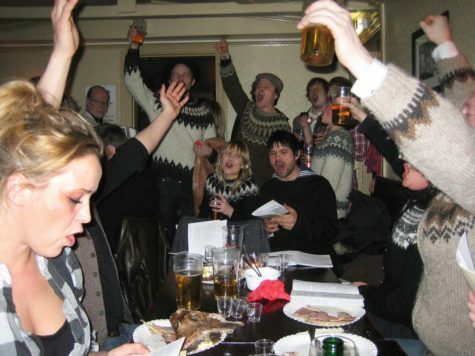 These large Thorrablot celebrations are usually arranged by membership associations, associations of Icelanders living abroad, and as regional festivals in the countryside. On this occasion, locals come together to eat, drink and be merry. Customary, the menu consists of unusual culinary delicacies, known as traditional Icelandic food, which consist of different versions of animal parts, either fermented in lactic acid, rotten, salted or soured. These include rotten shark’s meat (hákarl), boiled sheep’s head, (svið) and congealed sheep’s blood wrapped in a ram’s stomach (blóðmör)! This is traditionally washed down with some Brennivin – also known as Black Death – a potent schnapps made from potato and caraway. Even though most Icelanders do indulge in the traditional foods at least once a year, not many foreigners, nor the younger generation of Icelanders like the food. After the Thorrablot dinner traditional songs, games and story telling are accompanied by dancing and in true Icelandic style continue until the early hours of the morning! 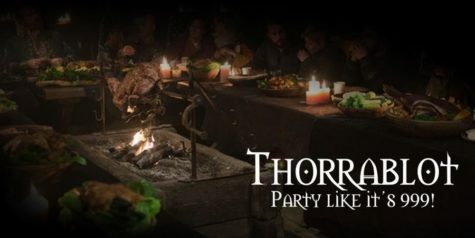 If you fail to receive a personal invitation to a family feast, local restaurants will often add Thorrablot color and taste to their menus.